What's the essential element of your database health? Performance? Functionality? Reliability? While each of the aforementioned plays a vital role in the daily use of any database, the cornerstone of a healthy OLTP or OLAP system is backup and recovery. No matter how much attention you put into cultivating a stable DB architecture, errors and system-wide blackouts is an unfortunate reality. Although exact backup and recovery facilities used by your enterprise may vary based upon which RDBMS you use, such as Oracle or Teradata, the fundamental principles are universal. 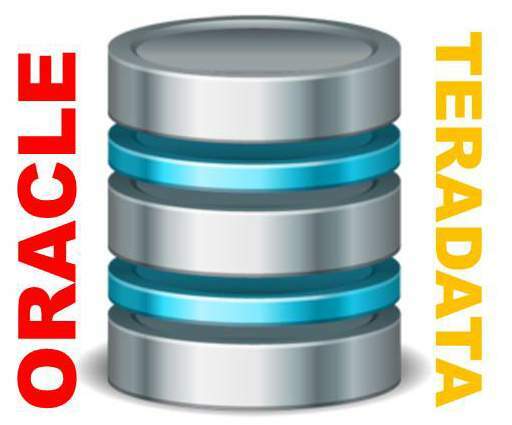 Without further ado, let's dive into the various pillars of effective backup facilities for both Oracle and Teradata. In terms of normal system backup facilities, Oracle utilizes two primary methodologies, known as cold backups and hot backups. Each backup facility offers unique benefits and should be used when appropriate. Cold backups are performed when a database is shut down, or inactive. This backup methodology provides a full copy of the entire database. Should a critical error occur, cold backups allow the database to be fully restored to its exact specifications. You can take cold backup with archive log too. If your database is running without archive log mode then you can take only cold backup (means you cannot take hot backup in this condition). Activating safe shutdown procedure by using provided shutdown scripts, which deactivate the specific instances you wish to backup. Confirm ample storage space to backup the entire database, which can be quite large based on your enterprise. Execute mounting commands based on backup media. There are lots of possibilities existing of data loss in cold backup if your database is running on NOARCHIVE log mode. Unlike cold backups, hot backup methodology retrieves data from an active database. While this method provides a copy of stored data, it doesn't backup current (or active) transactions. To solidify this procedure, redo logs must put automatic archive mode before or during the backup process. The biggest difference between hot and cold backups is within a hot backup only specific database segments are backed up. To execute a hot backup, input the ALTER command for each tablespace. After the backup is complete, ensure to restore tablespace status to normal. Logical backup of Oracle is called as Export and Import. Using datapump you can take export backup. You can restore backup using import process. This backup doesn't take backup of physical structure of database but it backed up logical structure of database. It is fast and Oracle provides so many new features like compress, parallel, schema level, table level, tablespace level backup. This backup can take only database is running mode. Oracle recovery manager is called as RMAN. You can take both cold backup and hot backup using RMAN utility. RMAN backup never stores empty space of tablespace means size of backup may be small than size of database. There is no need to put tablespace in backup mode during RMAN backup. Advanced BAR Solution - Designed for rapid recovery, this backup facility leverages the strength and performance of Teradata solutions for expedited data recovery. Certified BAR Solution - More complex than the aforementioned backup facility, this restorative architecture is ideal for larger data warehouses that require higher or lower system to the backup ratio for unique circumstances. Enterprise BAR Solution - - This adaptive backup facility is designed for complex data warehouses that require unique and/or backup and restore services. It’s optimized by Teradata engineers and features maximum scalability options. Disaster recovery planning and Backup of Oracle and Teradata is wide subject. We cannot provide more detail in this kind of single article. But I tried to give you short advise and tips using this article. Exclusive and professional remote Database services offered by Dbametrix with strong response time and high availability for important and critical Oracle databases. Expert remote dba team of Dbametrix is having wide experience to manage large and critical database with quick problem resolution.